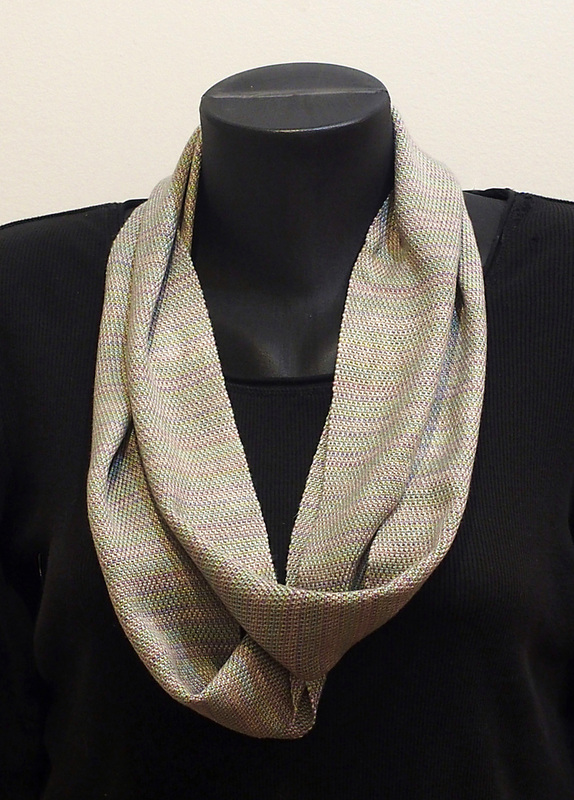 Handwoven Infinity scarf. 100% bamboo. Stripped, purple, green, & beige.